Ashot Tigranyan is a world renowned concert violinist and conductor. Tigranyan attended the Moscow State Conservatory where he studied alongside the legendary Russian violinist, Leonid Kogan, one of the last Russian masters. He has performed extensively throughout Russia, Europe, and the United States. In 2006, Maestro Tigranyan expanded his solo career and founded the Classical Concert Chamber Orchestra, where he acts as both lead violinist and conductor. Russian-born Tigranyan showed distinct affinity for music at the early age of three and has since continued to pursue a life performing the traditional classical music of iconic composers like Mozart, Bach, and Vivaldi. Tigranyan’s mastery extends from his lifetime of education and long hours of practice, even as a child. 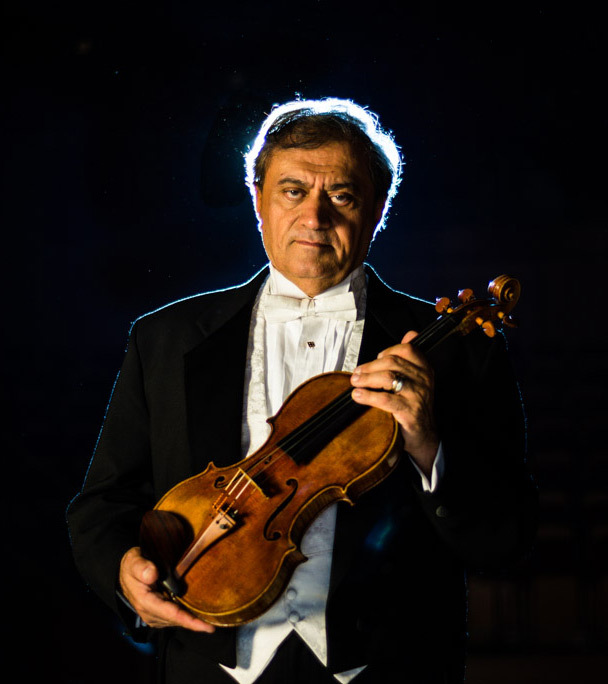 After graduating from the acclaimed Moscow State Conservatory, Tigranyan pursued a career as a concert violinist, touring internationally and establishing himself as a true living legend, evoking the timeless sounds and traditions of the Old Russian School. He later emigrated to the United States, where he continued to tour and further solidify his reputation as a true master. The long established institution that is the Russian Conservatory produces a style and sound unique to itself; its innate attention to vibrato and continuity are unparalleled. Tigranyan’s skill set celebrates these distinct markers with a strong command and authority over his instrument. Described as a “true diamond,” by pianist Jane Hesselgesser (TheFreeLibrary.com), Tigranyan possesses a rare range of musical prowess—one that cannot be overlooked. As his following continued to grow exponentially throughout Europe, Tigranyan was inspired to create an orchestra of his own. The Maestro wanted to perform with a collection of highly skilled musicians that together could pay homage to the true practice of the Russian school with integrity and precision. This dream turned into reality with the introduction of the CCC Orchestra in 2006. Combining his skills as both a conductor and concert violinist, Tigranyan has shown great success with Classical Concert Chamber Orchestra. The mission of this orchestra is to reconstitute the old language of the violin and the chamber orchestra and to capture the essence of the traditional Russian school of music in a smaller and more intimate environment. With a “violin talent that is in the blood,”(NonSoloCinema) Tigranyan leads CCC Orchestra with a refined and unparalleled mastery.